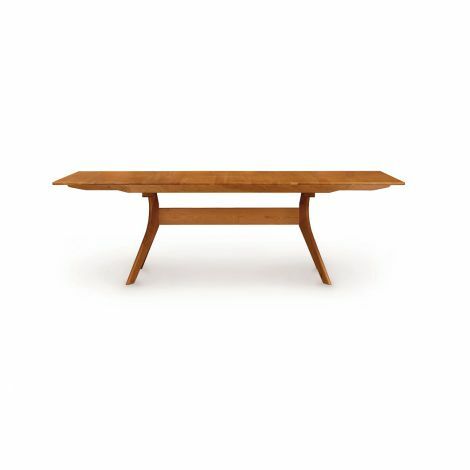 Our Audrey dining bench is a great example of modern furniture design, influenced by minimalist themes, with just a touch of Japanese flair. It is Ideal for any home environment, and built to offer many years of trouble free enjoyment. 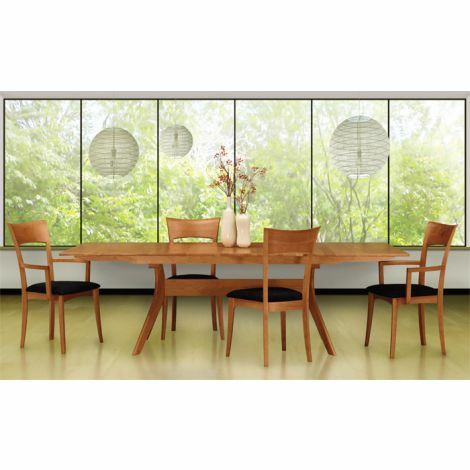 The Audrey Dining Room Set combines the sleek elegance of modern design, with the Zen ideal of balance and harmony with nature, to create for you a peaceful space that is both pleasing and inviting to the senses. Crafted here in the United States of Solid American Cherry Wood, by Copeland Industries, the Audrey Dining Room Set is heirloom quality, and hand made to last for several generations. 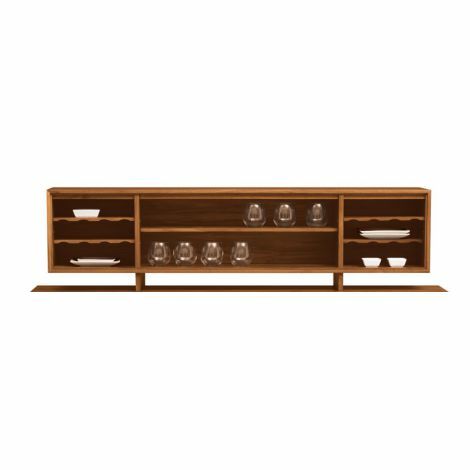 The Audrey Dining Room is made entirely of North American hardwood, carefully selected for best quality and forest sustainability. All furniture is hand sanded and hand finished with a non-toxic finish that is VOC (Volatile Organic Compounds) free, meaning your dining room will not off-gas dangerous fumes into the room. Furniture designed not only to be exquisite and of maximum utility, but to also be better for you, your family, and the environment. An added plus for the Audrey dining room furniture is the comfortable bench placed on one side of the table. This bench sitting arrangement not only incorporates one of the hottest trends in modern furniture design but also offers a look that is fresh and unique. 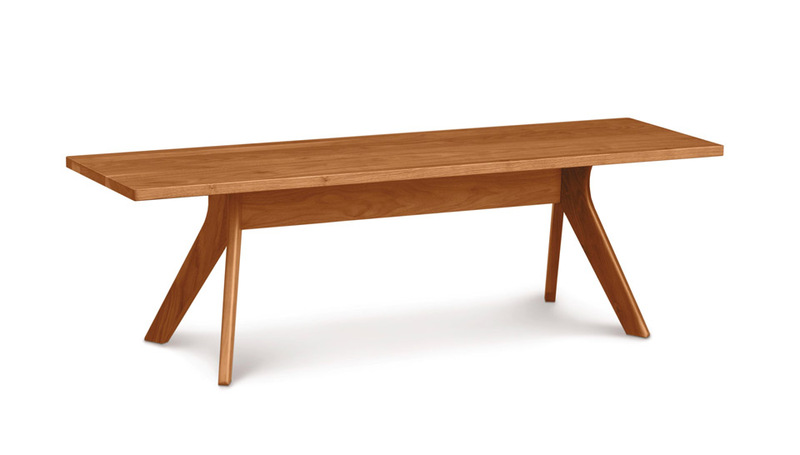 The solid cherry wooden bench is optionally available, offering a comfortable choice and plenty of room for your family and several friends to come join you for dinner. 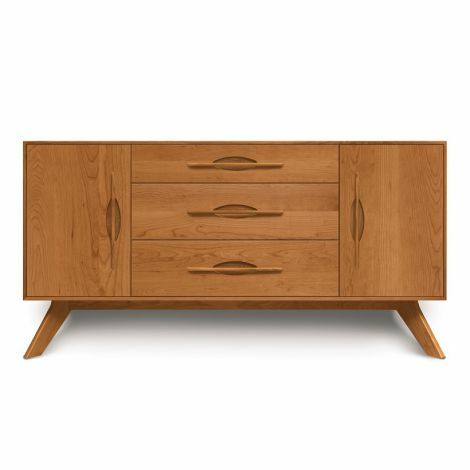 Copeland furniture is artfully designed, meticulously hand-crafted and made to order. Please allow 9-12 weeks for delivery.